The Marianne Fry Lectures began after her death in 1998. 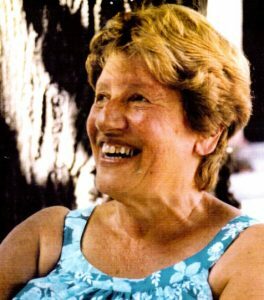 Her friends and students wanted to perpetuate, for the benefit of later generations of Gestalt therapists and trainees, the values and interests of a distinguished and beloved Gestalt trainer. family therapy and other aspects of psychotherapy. You can read about Marianne here. On this site you can learn about the next lecture and book a place. It also holds a record of past lectures. You can read about them, and, in many cases, access them in written form or listen to audio recordings. Full details of the 2019 lecture are available and booking is now open.